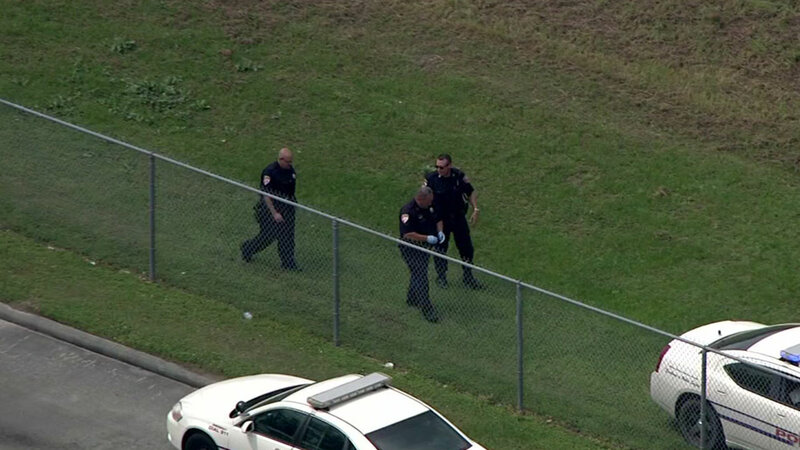 HOUSTON (KTRK) -- A man shot near an elementary school Thursday afternoon has died. Houston police were called out to Aldine-Harris Academy, an Aldine ISD elementary school, at 3130 Holder Forest. Houston officers and Aldine ISD police say two men into a fight near the school, with one man shooting the other in the leg. The victim ran, and collapsed near a fence by the school. The suspect took off, and the victim was taken to a hospital where he later died. Harris Academy was put on lockdown briefly during the investigation. No students were injured.